Leading Manufacturer of uhmw rods from Ahmedabad. We are the manufacturer of UHMW Rods. 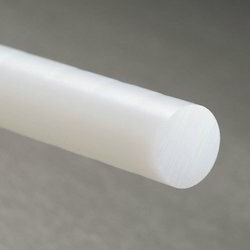 UHMW resembles other polyethylene in superficial characteristics such as texture, color, stiffness, weight and general appearance, but UHMW is superior in physical and mechanical strength.